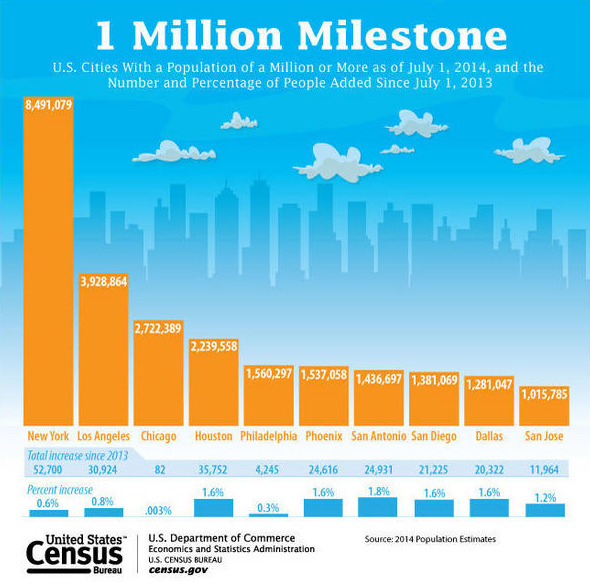 NBC Bay Area has a new population chart from the US Census showing San Jose as the 10th US city with a current population of 1 million. I added the word current in there because Detroit had 1.8 million people at it s peak in 1950 and has since dropped to 680,000. At a growth rate of 1.2% in 2014, that also makes San Jose the 6th fastest growing city in the million club. It would be 3rd if you take out the cities in Texas.